The following comes from a book that I started a few years back and have yet to finish. This is an excerpt from the chapter titled "Prepare and Compete." 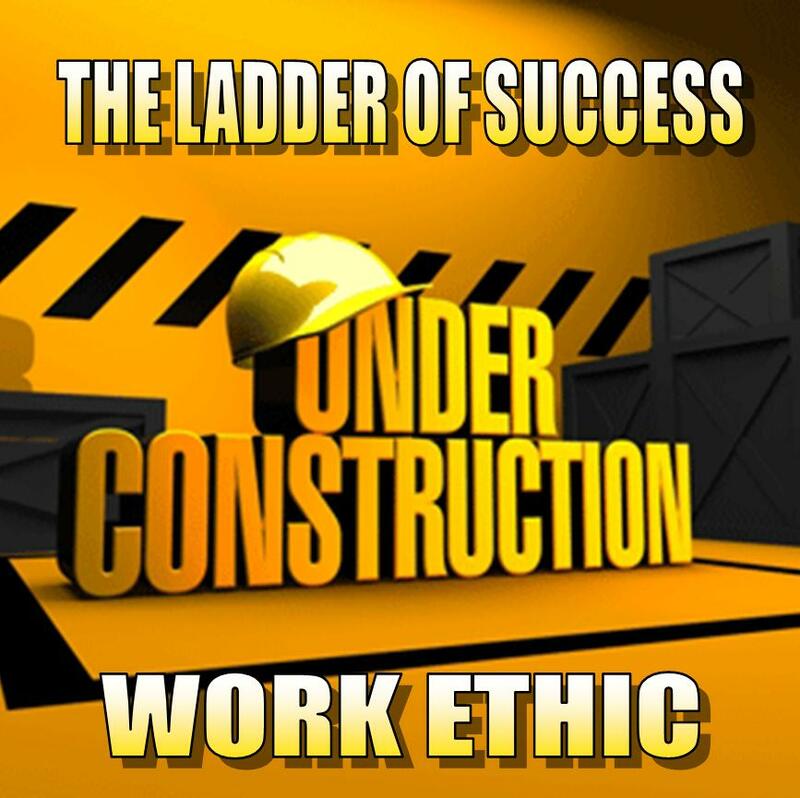 The second rung in the ladder is WORK ETHIC. It takes no talent to work – just a great deal of determination. Still, there have been a lot of talented players that have fallen short of reaching their potential because they lacked the commitment necessary to improve their game. 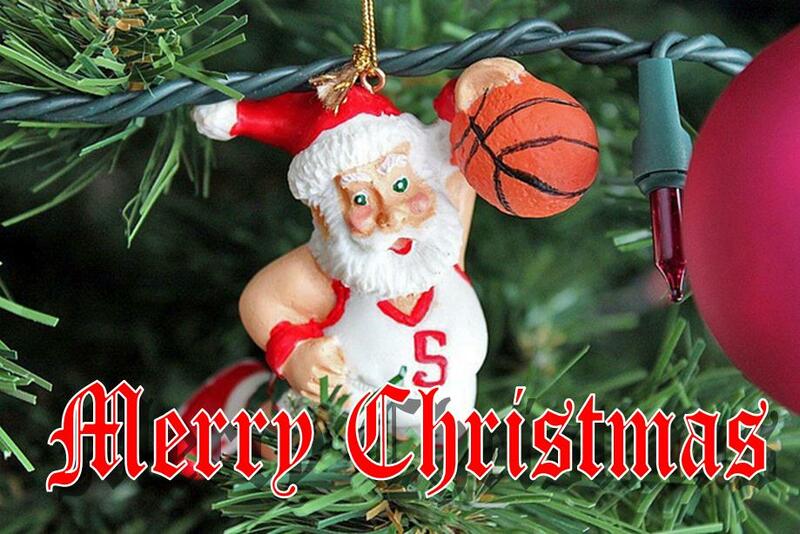 Each year we give our players the following passout. I am the most desirable thing in life. Without me no one can be healthy, happy or useful...without me, the hidden wealth and vast resources of this earth would have no value. Men and women who try to get along without me are characterless, selfish, undeveloped, useless, and unprofitable members of society. I am behind every fortune, every art and science, every achievement, every triumph of man. Rich men and poor men alike often try to find substitutes for me, hoping thereby to secure a larger measure of happiness, peace and satisfaction, but they are always bitterly disappointed. Instead of gain, every substitute for me brings them loss. As the creator is greater than the creature, so I am greater than wealth, power, fame, learning, or any other acquired possession or quality of man, because I am the source from which he acquired them. Understanding the relationship between knowledge and leadership involves several factors. Knowledgeable leaders do not have to have a comprehensive understanding of all aspects of their organizations (businesses). It is beneficial, however, for them to have a broad, working knowledge of the basic activities of the organization, as well as the ability to apply that knowledge as appropriate. Effective leadership also involves an awareness of the need for lifelong learning. “Coaching speed”...the speed in which you want it slowed down a little for teaching purposes. Learning involves at least two steps that many people find distasteful — thinking and changing. Learning requires thinking — an activity that educational psychologists suggest most individuals devote very little of their time to on a daily basis (less than 40 minutes daily for the average person and probably must less). As opposed to processing information (where your mind is engaged in a series of actions, such as retrieving, sorting, labeling and storing information), thinking involves more complex undertakings, such as solving a complicated problem, making a difficult decision, struggling with an idea, etc. Learning also involves changing. To learn, to develop, to grow, you must change. To a degree, change involves an element of risk. Although skillful leaders tend to be risk takers, most individuals are relatively uncomfortable dealing with situations that may involve an abandonment of their normal way of doing and thinking about things. Skillful leaders, however, embrace change as a growth opportunity — not as a challenge to their level of authority or personal comfort zone. Effective leaders also appreciate the need for creating an environment where their followers have the opportunity to learn not only from their leadership, but also from the group as a whole. Leaders should foster learning and the exchange of knowledge. When group learning is effective, problem solving is improved. Communication efforts are enhanced. The followers’ acceptance of the organization’s goals is heightened. ...you, as a leader, need to develop and implement a plan for group learning that makes learning a strategic choice for your organization. One of the most valuable traits that a leader can possess is the ability to be an independent thinker. Independent thinking involves reaching decisions and making objective judgments based on your own experiences and observations, rather than simply relying on the statements or opinions of others. In fact, there is a third level: interdependent interaction with those around you. This level involves having such confidence in your own abilities that you’re not afraid to initiate interaction with those around you. When people feel like their ideas are being acted upon and can be implemented into the game plan, it heightens both their learning curve and their level of productivity. There are two questions that you can ask on a regular basis to keep yourself focused on getting your most important tasks completed on schedule. The first question is "What are my highest value activities?" Put another way, what are the most important tasks you have to complete to make the greatest contribution to your organization? To your family? To your life in general? This is one of the most important questions you can ask and answer. What are your highest value activities? First, think this through for yourself. Then, ask your boss. Ask your coworkers and subordinates. Ask your friends and family. Like focusing the lens of a camera, you must be crystal clear about your highest value activities before you begin work. The second question you can ask continually is, "What can I and only I do, that if done well, will make a real difference?" This question comes from Peter Drucker, the management guru. It is one of the best of all questions for achieving personal effectiveness. What can you, and only you do, that if done well, can make a real difference? This is something that only you can do. If you don't do it, it won't be done by someone else. But if you do it, and you do it well, it can really make a difference to your life and your career. What is your answer to this question? Every hour of every day, you can ask yourself this question and there will be a specific answer. Your job is to be clear about the answer and then to start and work on this task before anything else. First, make a list of everything you do at work and then select your most valuable tasks from that list. Second, resolve to start in on your highest value task and stay at it until it is 100% complete. As I head out tomorrow for a recruiting trip we will take a couple of days off from blogging but wanted to wish everyone out there a wonderful holiday season. 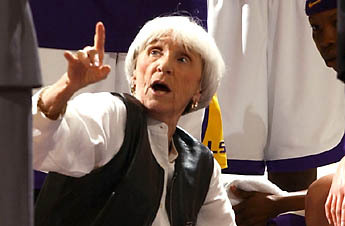 While working for Coach Dale Brown on the LSU men's staff, I would always be excited to see what motivational passout Coach Brown would come up with for our team. He also was known for massive mailouts to high school coaches around the nation, mailing them our most recent passout. By far, my favorite one was "The Last Day of School" by Roy Exum which Coach Brown always sent out around Christmas time. I believe it is the essence of teaching and coaching and we hope you enjoy it. Her children brought her presents, all in gay ribbon and bright paper, except for Teddy’s, which was clumsily wrapped in heavy, brown paper of scissored grocery bag. Mrs. Thompson took pains to open it in the middle of the other presents and some of the children started to laugh when she found a rhinestone bracelet, with some of the stones missing, and a bottle that was one-quarter full of cologne. I have thought often over the course of the past two years about this particular blog post. Rarely do you want to tackle one of those life-long coaching axioms. But that's what I'm going to do. "You're only as strong as your weakest link." Now don't get me wrong -- I'm not saying that your team wouldn't be better if your weakest player had a great attitude and was a hard worker. "You're only as strong as your strongest link." I base my premise on years of coaching. I have been fortunate to have coached some special teams. 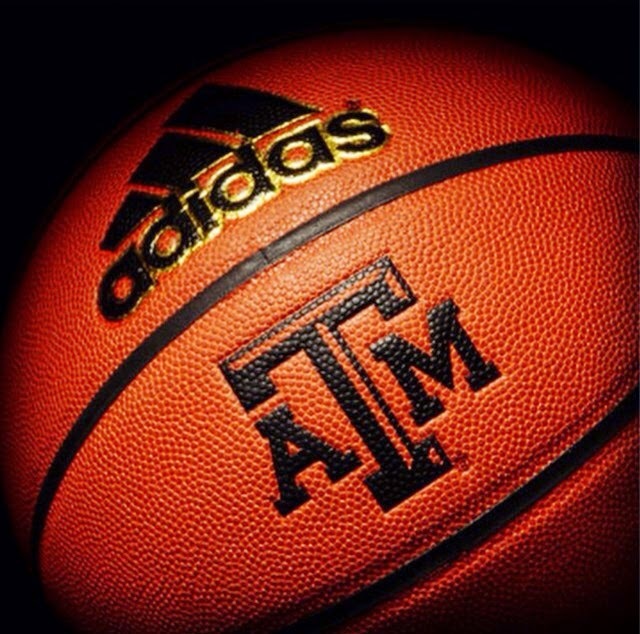 During my tenure on the college level I have been to six Final Fours -- special teams indeed. Some of those teams had a player or two that didn't work as hard as they could have or didn't have the best of attitudes. In fact, with a team, it is almost a safe bet that you will have one or two. But the one thing those Final Four teams had was a player or players that were incredibly committed to having a great team. They were leaders in their actions and in their words. The best players on those teams were the harderst workers. The best players on those teams were the unselfish. Coach Don Meyer said at the very first clinic I ever heard him speak nearly 20 years ago that "if your best player is your hardest worker than you have a chance to be good...but if he's not, you could be in for a long season." The strongest link is the most important because it is the link that holds the chain together. The stronger that link, the more links it can "carry" and "lift." If you have a team that is top heavy with strong links than you are about to have a great season. 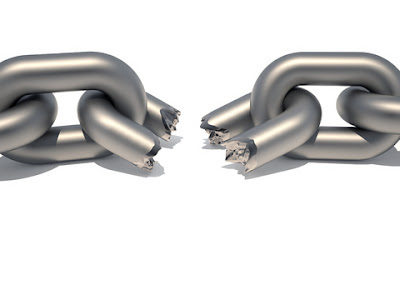 I believe a good coach can minimize the effects of a player with a bad attitude or poor work ethic if they are at the bottom of the chain...but if that weak link is at the top it's going to break at some point and you will be scrambling to hold it together. As a coach, I think it is important to recognize that and make sure that you put the necessary energy into communicating and motivating your strongest link. Too often we get caught as coaches spending 80% of our time on the bottom 20% of our team. Work hard to find and develop strong links. Talk to them about how important they are to the success of the team. Let them know that it is up to them to be the hardest workers when the coaches aren't around. They need to be the most enthusiastic whenever everyone else is flat. Yes, they need to get on their teammates when necessary to hold them accountable but they most also know when and how to lift them when need be. Make the time to meet periodically with your "strongest link" to coach him or her up. Give them the attention they need and make sure the team knows that you have his or her back. Coach your strongest link on what you need from him or her in all areas of the game -- including on the floor, in the weight room and in the locker room. I have also coached teams that had good talent but did not have a strong link at the top and those teams ALWAYS felt short of their potential. Last week we watched the movie "Miracle" about the 1980 USA Olympic Hockey Team and Coach Herb Brooks use the quote "the legs feed the wolf" to explain the need for conditioning. I would add "the strongest link carries the chain." How strong is your strongest link(s) and what you doing to make them stronger? Accordingly, self-discipline is an indispensable asset for individuals who want to be effective leaders. Regardless of whatever skills you possess, you will never be able to reach your potential as a leader without this essential attribute. The single most important component of self-confidence is self-control. Simply stated, self-control is your ability to exercise restraint over your impulses, emotions, and desires. If your behavior is not guided by your priorities you’ll never be able to inspire confidence in your leadership abilities either in yourself or your followers. If you are not a disciplined person, you won’t be able to lead by example. -Break down the “big” jobs you find daunting into more manageable tasks. -Take responsibility for directing your life. Take pride in knowing that you did your best. ...perseverance is one of the most positive habits you can have if you want to exhibit self-control as a leader. Perseverance involves a demonstrable work ethic characterized by a high level of industriousness and a desire to see the job through to its completion. Another skill that every successful leader has is the ability to use time in a meaningful manner. Poor habit: They fail to complete immediate tasks before agreeing to do more. Maintain control over your work environment. Take whatever steps are necessary to build and sustain a healthy work environment. Establish an environment where you can concentrate so that you can use “real” time to complete tasks before their deadlines. Develop a detailed plan for handling particularly stressful circumstances. There is not better example in my field than film study. It takes a great deal of experience and focus to effectively look at the extensive amount of video that coaches use to prepare for an opponent and not just end up watching endless hours of tape. A trained eye knows what to specifically look for and what to keep your focus on, rather than be distracted by many other components of a game that might otherwise grab your attention. The players know the surest way to get me to pull a “blue-veiner” is for them to lose their focus during practice. As a leader, you must recognize your limitations and either establish a plan for change or surround yourself with people who balance whatever deficiencies you have. When the media’s preseason All-Southeastern Conference team was released way back in July, LSU had one player on the first team: Morris Claiborne. Alabama had eight first-teamers, Georgia three. Even Kentucky had two, and an investigation revealed they weren’t wandering basketball players, either. In the vote for who would end up winning the SEC, Alabama was an overwhelming favorite. Not surprising since most of the media attending the SEC Media Days in Birmingham is based in Alabama, but objectively most people looked at the team the Crimson Tide had returning and the fact LSU had to play there Nov. 5 and figured that would be the telling moment. The Tigers, despite their lack of obvious superstar talent, earned the second-most first-place votes. It proved to be a telling statistic. “Everyone was saying we don’t have anybody on the all-conference team, whereas somebody thinks we have a pretty good team,” LSU coach Les Miles said. Back when Miles’ mentor, Bo Schembechler, was head coach at Michigan, he made a stirring preseason speech one year, a speech that certainly has to still resonate within Miles. The team above all. The team’s goals. The team that can be greater than the sum of its individual parts. As the season went on, surely this LSU team had its superstars. Claiborne became everybody’s All-American. Tyrann Mathieu became the Honey Badger, and despite a midseason swoon rode his indelible nickname and incomparable talent for making big plays to a seat in New York as a Heisman Trophy finalist. 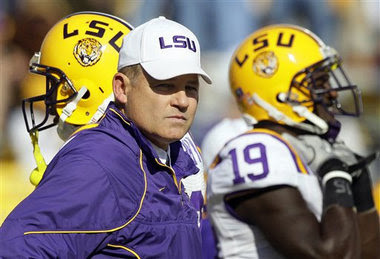 But overall, it has been LSU’s depth that has led the Tigers to 13-0 and a berth in the BCS National Championship Game. Players like Mathieu and Mo certainly have had their critical moments, and individual playmakers abound. But it’s LSU’s ability to grind teams down, come at them with waves of players of similarly high-grade talent, that has been the Tigers’ biggest asset this season as they defeated everyone on a schedule that included eight ranked foes. Certainly by this point on a team this good, it was to be expected that some players would get individual honors. 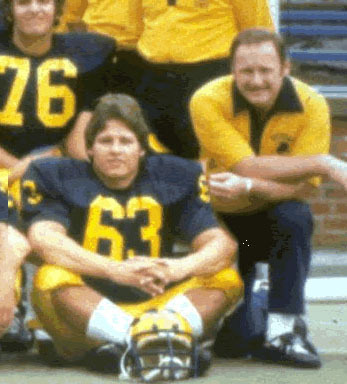 But you have to imagine this is exactly the kind of team Miles enjoys coaching – and the kind of team that ultimately would have earned Schembechler’s approval. “I guess what I’d rather have is a guy who has a feel of having his teammates’ back, where if somebody makes a mistake or is out of position or fundamentally doesn’t make a play, that guy has his back and makes that play,” Miles said. The team. The team, the team, the team. We are going to utilize a ladder to talk about how we are going to move forward and upward to become our best. As we start our climb to reaching our potential, we come to the first rung of the ladder which is SIMPLICITY. The drills composed in the following pages is just that – simple. They are meant to be simple so that each player can give their maximum effort, not only physically but mentally as well. There are probably an infinite amount of drills in each fundamental phase but we have handpicked a group of drills that are not only simple to execute but also give attention to the various skills needed to improve as a basketball player. Also, by keeping the drills and routines simple and going about it in a progressive manner, it will allow the individual to devote a high level of concentration to each drill series. The concentration level of each athlete varies and at times an athlete can have a very short attention span which makes our ability to keep things as simple as possible extremely important in gaining maximum results. The ability of a coach to teach all the they need to be successful but in it's most simplest form is one of the absolute most important parts of teaching. It is also something that I found comes later for most coaches. Young coaches often get caught up in trying new things they learned at clinic even if it doesn't fit their system or their personality. As my friend and mentor Coach Don Meyer says: "Get all the good ideas you can but only use the ones the fit who you are and what you want to accomplish." • 77 percent of all Americans get about 90 percent of their news from television. • 47 percent get all their news from television. • Major U.S. corporations have their own television studios. 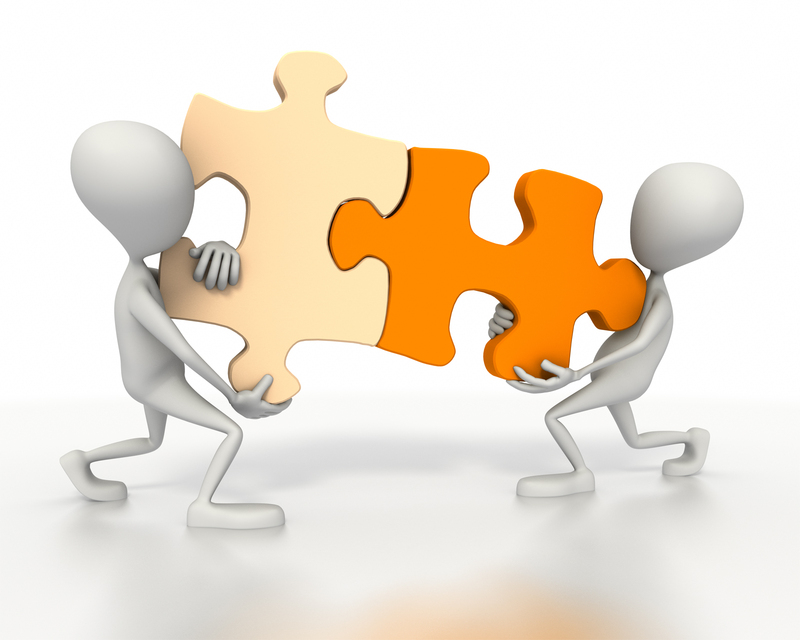 • Video and Web conferencing are replacing on-site face-to-face sales meetings. • Digital video recording systems are becoming commonplace in homes and offices. • Children now log about twenty-two thousand hours watching television by age nineteen, more than twice the time spent in school. There’s no substitute for personal experience when we want to connect with people’s hearts. When you find yourself, you find your audience. John Kotter, an author and a friend, recently wrote a book titled A Sense of Urgency. In it he states, “For centuries we have heard the expression, ‘Great leaders win over the hearts and minds of others,’” Note that he didn’t say that great leaders win over the minds of others. Nor did he say they win over others’ minds and hearts. The heart comes first. What we say and how we say things make quite an impact. People respond to the language we use. As Mark Twain observed, “The difference between the almost right word and the right word is really a large matter—it’s the difference between the lightning bug and the lightning." I have for the past 10 years been working on a book that details the teaching of Motion Offense. I'm very passionate about this book -- actually too passionate which is why it is taking me forever to finish. As I continue to learn, I continue to want to do rewrites. One of the sections of my book talks about the advantages of utilizing a motion offensive system. But I felt strongly that everyone should know that motion offense isn't for everyone. I can't count the number of coaches who have watched our teams of the years that have complimented us on how effective our motion was and how difficult it was to defend. Yet that doesn't mean they necessarily need to be implementing it. As in all things that are very good -- it is difficult to teach and to maintain. The key I think to Coach Newell's comments is it just doesn't apply to motion offense but all things involved in coaching. 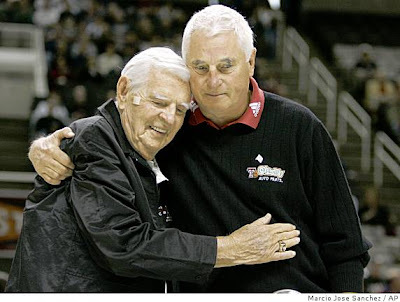 I remember when Jud Heathcote and Michigan State won a national championship with Magic Johnson. They had an excellent team that was anchored by Coach Heathcotes' match-up defense. So many coaches spent the off-season wanting to play the Michigan State match-up. 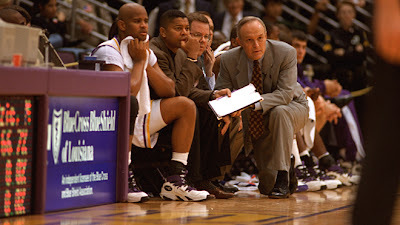 During my tenure at LSU, so many teams were running Triple Post on the offensive set. After all, the Chicago Bulls were winning championships each year with it. But with the possible exception of Stanford's women's team, no one utilized fully to the extent that you needed to to be successful. Certainly we can study other coaches and systems to help us formulate our systems of play, but as Coach Newell pointed out, a couple of lectures aren't going to get us there. Whatever it is you do, believe in it and commit not only to teaching it but first learning it. I first watched this video about 10 years ago. It is simply one of the best illustration at how to prioritize the things you do in life. At Stephen Covey teach us, take care of the "big rocks" first. 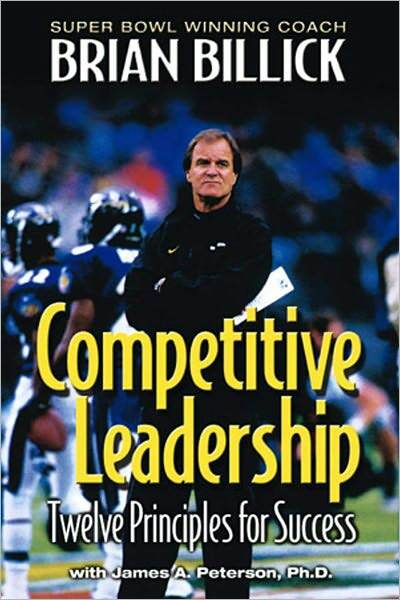 ...no aspect of leadership provided by a coach has a bigger or more lasting effect on the players and their performance than the methodology used, in installing and practicing of your system. Maintaining a specific routine and level of preparation gives the players a sense of structure and security. Entering the new millennium, over one-third of the entire league has a head coach with his roots linked to Bill Walsh. Those 11 coaches represent six total Super Bowls and four of the last five champions. -Being sure that the information you provide measurable reduces the uncertainty or hesitation in your players. -Demanding concentration. Being assertive in your insistence that your players focus on the task at hand. -Being sensitive to signs of physical fatigue. -Keeping meeting times quality-oriented and making an effort to change the learning atmosphere. -Constantly monitoring the retention levels of the team members. To a point, it can be relatively easy to have a plan. The difficult lies in the details involved in developing a sound plan. Keep in mind that however well-intended a plan is, it is only a plan unless it leads to action. Planning should be used as a tool that elicits purposeful activity. By putting it in written form, a coach is provided with an opportunity to document the exact process needed to develop a specific skill. -Listing all aspects in your area of responsibility for which you would like to be better prepared. 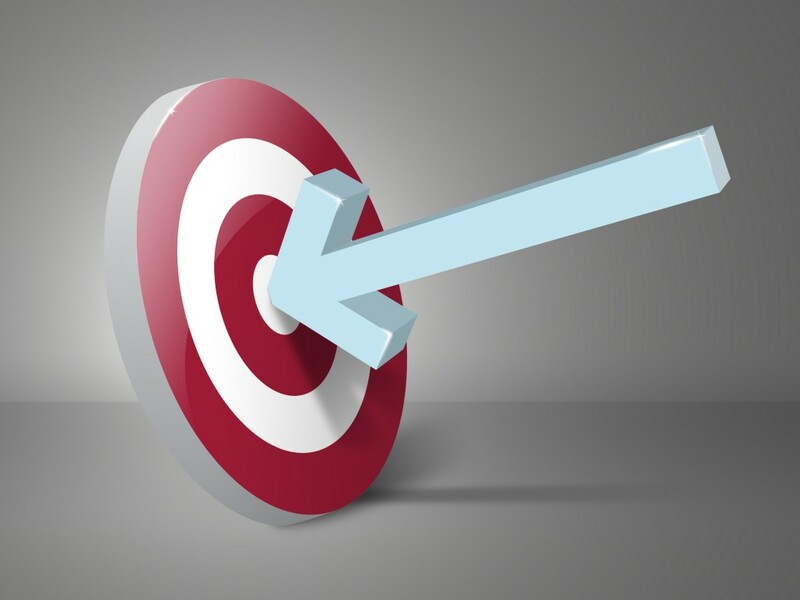 -Identifying opportunities that you have to be better prepared for each item on your list. Specify what form that improvement might entail. -Determining the resources that are needed to turn the opportunity into a reality. -Assessing the feasibility of actually achieving the improvement detailed in the previous step. -Deciding, relatively speaking, what possibility exists of you wasting your time on a particular area of concern. -As appropriate, discussing your list with others within or outside the organization. -Deleting areas of concern from your list that are unfeasible or inappropriate. Deciding what really needs to be done is only the initial step. The next step is to determine how to achieve your goal of being better prepared. If your army is not properly fed, your machinery properly maintained, and your communications channels kept open, your chances of success are limited. When the Ravens were facing an opening 2000 schedule with five of the first seven games on the road, it was vital that we did everything as smoothly as possible as an organization to handle the logistical demands attendant to the situation. It is obvious to me that if we did not support the travel needs of our team (e.g., accommodations, meals, transportation, etc.) the long-term effects could be debilitating. ...while these types of “behind-the-scenes” jobs normally do not get much recognition, they are extremely vital to the success an organization might achieve. ...there is not such thing as an unimportant detail. While some details may be more important than others, all are important. The reason some leaders are more effective than others is their enhanced ability to focus on essential details. One aspect of contingency planning that you should keep in mind is that people and organizations are creatures of habit. As a skillful leader, you must be able to respond to your circumstances as they exist — not as you would like them to be. While life doesn’t always give you roses (even if you deserve a bouquet), you still have an obligation to yourself, your followers, and the organization to act in a responsible manner. You must approach each situation with an open mind and a get-it-done attitude. Whatever the circumstances, to the extent feasible, you must be both able and willing to adapt to your behavior and your actions in such a way to position yourself to be successful. 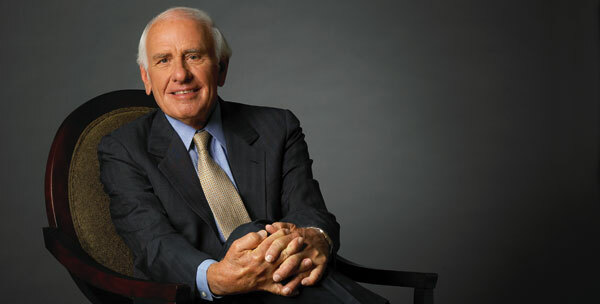 One of the first things successful people realize is the old adage, "if it is to be, it is up to me." That is, for you, the fact that your success and your course is up to you. This doesn't mean that you do it all alone. It simply means that you take responsibility for your life and your career. Too many people today look at opportunity and figure it is up to someone else to make sure they get it. They look at financial security and hope that the government will make sure they live safely in retirement or in case of disability. They wait and wait, figuring that it is up to someone else. And then the wait is over, and it is too late to do anything. Their life is over and they are filled with regret. This isn't true for you however. You know that you must take responsibility for your life. It is up to you. The fact is that nobody else is going to do it for you “you must do it yourself. Now, some people may say, "Jim, that's a lot of responsibility." Friends, that is the best news you can ever hear. You get to choose your life. Hundreds of millions of people all around this world would give anything to live in the situation you do “just for the chance to have the opportunity to take control of their destiny. "It is up to you" is a great blessing. 1. You get to chart your own destiny. Maybe you want to start a small business and stay there. That's great because you can choose that. Maybe you want to create a small chain of stores. Maybe you want to have a net worth of $100 million. That's okay too. The idea is that you get to choose. You can do whatever you like. Different people have different dreams and they should live them accordingly. 2. You can reap what you sow. Sleep in and go to work late and reap the return. Or get up early and outwork the others and earn a greater return. Place your capital at risk and earn a return “or place it at greater risk and perhaps reap a greater return. You decide what you will sow and thus what you will reap. Let me ask you a question: Where will you be in 5 years? 10 years? Or 25 years? Do you know? DO you have an idea? Have you ever dreamed about it or set a goal for it? Are you willing to take responsibility and recognize that, "It is up to you?" You will be wherever you decide to be in those timeframes. You decide. It is up to you. And that is very exciting! My friend and mentor Dale Brown gave me many gifts during my time on his staff -- and in fact still passes on "gifts" to me to this day. Often times those gifts are in the form of advice, motivation and love. He has always been there for me from the first day I served on his staff. Many of his gifts to me have been in the form of books. Coach Brown was a voracious reader. You never saw him without a book in his hand or on his desk. He would underline passages of importance and have our secretary Wanda Carrier type up those notes. He would pass them on to us and use parts of them to motivate our team. Anytime Coach Brown would gift me a book, I knew it would be for a reason. He would pick a book for our team to read each year as well. Except each player would receive a different book. It would be a book that Coach Brown thought might be significant to that individual. 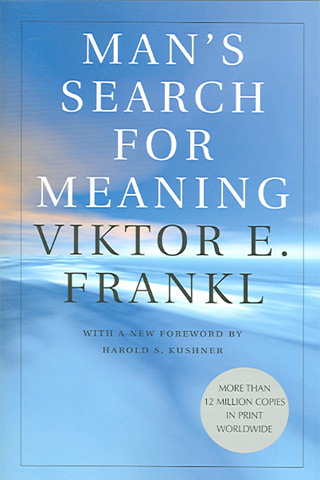 One of the first books I received from Coach Brown when I first joined his staff was "Man's Search for Meaning" by Victor Frankl. It had an immediate impact on how I viewed things. I wasn't the only one. The Library of Congress named it one of the ten most influential books through a survey of "lifetime readers." The book chronicles Frankl's experiences as a World War II concentration camp inmate and is based on his method of finding meaning in all forms of existence, even the most horrific ones, and thus a reason to continue living. It is an amazing study on how with the right reference points, we can always control one thing -- our attitude and how we view things. Man can preserve a vestige of spiritual freedom, of independence of mind, even in such terrible conditions of psychic and physical stress. ...everything can be taken from a man but one thing: the last of the human freedoms -- to choose one's attitude in any give set of circumstances, to choose one's own view. Fundamentally, therefore, any man can, even under such circumstances, decide what shall become of him -- mentally and spiritually. Dostoevski said once, "There is only one thing that I dread: not to be worthy of my sufferings." If there is meaning in life at all, then there must be a meaning in suffering. Suffering is an ineradicable part of life, even as fate and death. Without suffering and death, human life cannot be complete. The way in which a man accepts his fate and all the suffering it entails, the way in which he takes up his cross, gives him ample opportunity -- even under the most difficult circumstances -- to add a deeper meaning in his life. Nietzsche's words: "He who has a why to live for can bear with almost any how." If you should ever happen to come upon a construction crew in the midst of building a home or a large skyscraper, take the time to stop and observe as these craftsmen assemble something that very often can stand for decades. Much of what they do to successfully build any type of structure can be carried over to the game of basketball in building a good, competitive basketball player. It is in this book that we want to begin the “construction” of a sound basketball player. Just as a construction crew started out, we want to begin with a solid foundation. In basketball, that “foundation” is fundamentals. They are the key to growing a complete basketball player and will better allow you to compete in what is vastly flourishing into the most competitive of all sports. To make sure that the fundamental foundation that we are building is strong, we are going to use an important tool of those who construct buildings – the ladder. By working your way up the ladder, one rung at a time, combining your effort with enthusiasm and a positive attitude, you can go a long way in reaching your basketball potential. What a player’s potential translates to, is becoming the absolute best she can be. For a few, this may translate into a college scholarship while for many it will simply help them make their grade school, junior or high school team. Regardless of the end result, just being the best you can be is a tremendous achievement and should be a goal for us all. Two quotes come to mind when thinking of working to reach your potential. 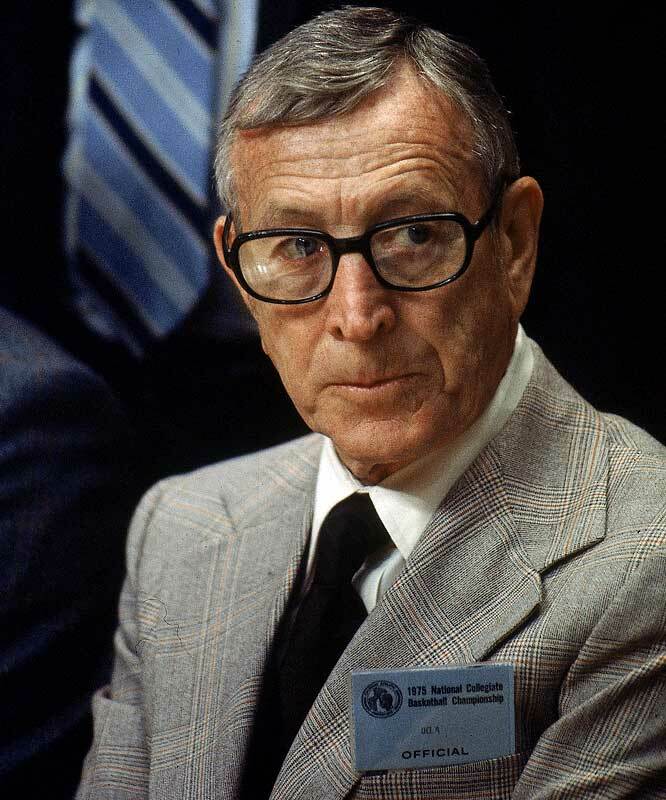 Both come from the legendary John Wooden. It is noteworthy that Coach Wooden used the word “success” in both of the quotes. 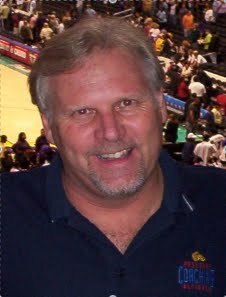 So often it is easy to set forth numerical goals such as points scored or rebounds accumulated, when the true worth of a player could never solely be defined by statistics. A player may set the goal of being All-Conference or All-State. This too is a goal that can often lead to disappointment because such appointments are often out of our control. The philosophy that I have followed throughout my life can be summed up in two words: Prepare and Compete. Together they have served as a formula for the success I have found in all facets of my life. The one thing I have discovered is that life is an ongoing proposition. We have heard it said before, but it is a truth that grows in strength with each passing day – life is a journey and not a destination. With that in mind, I set forth to develop a philosophy that would regenerate with each challenge that I faced in life. Preparation is such an important factor in reaching one’s potential yet so many look for a short cut. The problem for so many is that proper preparation is time consuming and requires hard work. Many are too impatient or don’t have the work ethic to lay the ground work necessary to be successful. There is no better example than the Law of the Harvest. For the farmer, there is a great deal of work that goes into the preparation of the soil and the seed. There is the daily grind of watering, fertilization, and weeding of the crops. There can be no day off in the process. It is an amazing period of tedious work that lasts the entire year until the crops are finally ready to be harvested. Could you imagine the probability of having fruits or vegetables if you didn’t till the soil? What if you skipped the fertilization process or didn’t prepare for the drought? Obviously, there would not be a successful harvest. The same is true of all the challenges we face in life. Any goal worth pursuing must be carefully planned out. In fact, a major part of preparation is your ability to dream. Before you can start any worthwhile journey, you must be able to map it out – you must start with the end in mind! Where do you want to go? Once that is decided then the preparation can begin in earnest. As Stephen Covey so simply put, "Start with the end in mind." How could an artist paint a picture without the vision of a final product. And while on the subject, don’t limit yourself. We had a saying in the LSU Women’s Basketball program coined by Hall of Famer Sue Gunter that we are very proud of: Dream Big…Work Hard! Have a belief in yourself and what you can accomplish and then put the formula of Prepare and Compete to work for you, and your achievements will be worthwhile. Preparing is difficult for so many because they fail to realize that everything you do prepares you for something. That’s a strong concept. I am constantly telling my team (and myself) that there are no “little things.” Everything is important in the overall scheme of reaching your goals. As a basketball player, it is important to understand that everything is part of the preparation for you to be your best on the court. Obviously, the first thing that comes to mind would include practice. Conditioning and strength training would also help prepare a player for competition. But there are so many other areas such as rest and nutrition. One very important part of preparing is your attitude. It is important because it is an area that we all have complete control of – we all have the ability to choose our own attitude regardless of the circumstances. While we have taken the time to decide upon a goal for ourselves, life is constantly throwing obstacles at us. Part of a successful philosophy is having the flexibility to adjust to the hurdles thrown at us. Do you have an attitude where an uphill struggle scares you? Possibly a set back has you feeling like you are the target of more bad luck. Or do you possess that attitude that creates excitement with failure because of the great challenge it presents? I don’t know of any successful person that has achieved greatness that didn’t do so after many struggles. Part of preparation is preparing for failure. Whether we want it to be or not, it’s part of the equation. In fact, it’s extremely difficult to persevere if you haven’t previously prepared. Compete is the second word of my philosophy. Quite simply, it is giving the job at hand your very best. Of course, this is easier said than done which partly explains why some are successful and others are not. For most, it is easy to give great effort from time to time. It is the truly great ones that can consistently reach the highest level of effort each time out. At this point, it is important to define “effort.” Many think we are referring to physical effort. And while giving your very best physically is certainly a prime requisite for competing, you must also give your best mentally and emotionally. A popular phrase we often share with our team is that “the mental is to the physical as 4 is to 1.” In other words, the mental aspect of preparation and competing is four times more important than the physical phase. It is an important part of competing that you are able to think and make decisions – whether you are on the athletic field, in the corporate office, or raising a family. Life is full of individuals (as well as teams and groups) that had all the physical attributes to be successful but fell short because they didn’t understand the importance of being mentally ready to compete. You must be emotionally ready to compete as well. The word emotion usually conjures up images of athletes in jubilant celebration, but the emotional factor we’re looking for comes from the inner desire to self-motivate oneself to prepare and compete at the highest level. If you are emotionally ready for any phase of your life, then you have positioned yourself to do your absolute best because it is important to you. Emotional readiness provides you with a passion to achieve. Often, the amount of energy you apply to preparing raises your desire to compete at your best. All great individuals and teams that have met with great results have been passionate about their approach. Emotional preparedness also means that you don’t allow your emotions to overtake you at key junctures in your journey. Leaders and winners exhibit great poise and control of their emotions at the most extreme times. Another piece of the puzzle in regard to competing is to finish. So many times we put a great deal of energy into preparing and come out of the blocks eager to compete only to pull up a little short of our goal. Sometimes our inability to finish comes because we have run into a hurdle. Other times we are unable to finish because of too much success. That’s right, often success can be a major opponent for us to defeat as well. Complacency is something we must always guard against as we strive to be our best. It has been said that good is the enemy of great and this can be a main reason for us not to finish. The final point in regard to the Prepare and Compete philosophy is that all that we do in order to succeed involves others. There can be no great achievements without team. We are all dependent upon others to help us succeed. We all have an effect on others and their quest to succeed. Therefore, there must be an understanding of the importance of relationships in any philosophy if we are truly dedicated in reaching our potential. Our ability to mesh well with others and to understand roles (our own and others) is of vital importance in properly preparing and competing. This is the philosophy that has guided me through life and the philosophy that we try to instill in our basketball team. Prepare and Compete – simplistic in formula but complex in execution. But remember, nothing worthwhile was meant to be easy. That’s why success feels so good. So Dream Big…Work Hard! BILL WALSH ON LESSONS LEARNED FROM PATTONS "LETTER OF INSTRUCTION #1"
1. Remember that praise is more valuable than blame. remember too, that your primary mission as a leader is to see with your own eyes and be seen by your own troops while engaged in personal reconnaissance. 2. 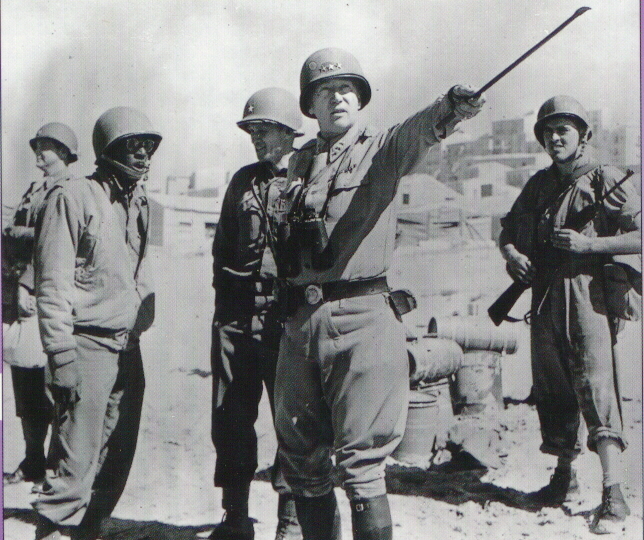 Use every means before and after combat to tell the troops what they are to do and what they have done. 3. Discipline is based on pride in the profession of arms, on meticulous attention to details, and on mutual respect and confidence. Discipline must be a habit so ingrained that it is stronger than the excitement of the battle or the fear of the death. 4. Officers must assert themselves by example and by voice. They must be preeminent in courage, deportment and dress. 5. General officers must be seen in the front line during the action. 6. There is a tendency for the chain of command to overload junior officers by excessive requirements in the the way of training and reports, You will alleviate this burden by eliminating non-essential demands. The following is an excerpt on an article written by Coach Ray Lokar on process oriented teaching. It is an outstanding article and I hope you will click on the link at the bottom of this post to read all of the article in its entirety -- you won't regret it! When I construct a practice I try to ensure my staff knows which drills, games, or activities are focusing on "teaching" and which we would like to be more competitive. In a *teaching* drill we want to stop instruct a bit more often than during a more competitive phase of practice. I like to treat these competitive sessions like a game, and you can't stop a game to correct every single thing. We want players to develop the confidence to be able to self-correct without waiting for a coaches instruction. The best way for a coach to assist this process is to create "Effort Goals" instead of goals that are result based. Learning and improvement is more about the process than it is the outcome. For example, in basketball, we have a few non-negotiables that are all effort-based in nature. I encourage players to Be Big on the Little Things. #1 - Stay in Stance - Always stay in stance. It is your point of maximum explosion. Be just like a track sprinter coming out of the blocks. Be ready to move. You will get open on offense more often. You will guard your man on defense easier. The lowest person usually wins. #2 - Contest EVERY Shot - The only person who can score is the one with the ball. Go guard him even if he is not your man. Help your teammates when there man is open. Go guard him. Get a hand up on every shooter and contest the shot - even if it means leaving your feet, but don´t fall for a head fake too easily! #3 - Two Hands - Catch the ball with two hands--concentrate on the catch before you do anything else. Rebound with 2 hands--and try for every one. Pick up a loose ball with 2 hands--pick it up, don´t dribble it. You will get more possessions for your team and each possession is another chance to score. #5 - Pass to the first Open Teammate - Passing the ball is faster than dribbling it. If you move the ball, you make the defense adjust and they might make a mistake and leave someone (maybe you!) open. If you see an open teammate--throw them the ball. Don´t wait for a better pass. Remember - "a bird in the hand is worth two in the bush." Each of these five "non-negotiables" are effort based and something any player can decide to do without getting any better at any one particular skill. Just by making the effort to do these things, a player can actually be better - right now! When the player feels that improvement they will begin to develop more and more confidence. There are "little things" like this in all sports - and it's up to the coach to find them.